Rodney roads, a targeted rate? Have your say. Your Local Board wants to bring forward spending on transport infrastructure such as road sealing. * If the Local Board gets a targeted rate and chips in some money I believe there is a good chance we could get a top up from Auckland Transport. ** that will contribute towards more road sealing. The targeted rate would also be used to contribute towards a Train to Huapai and Park’n’Rides in Rodney. 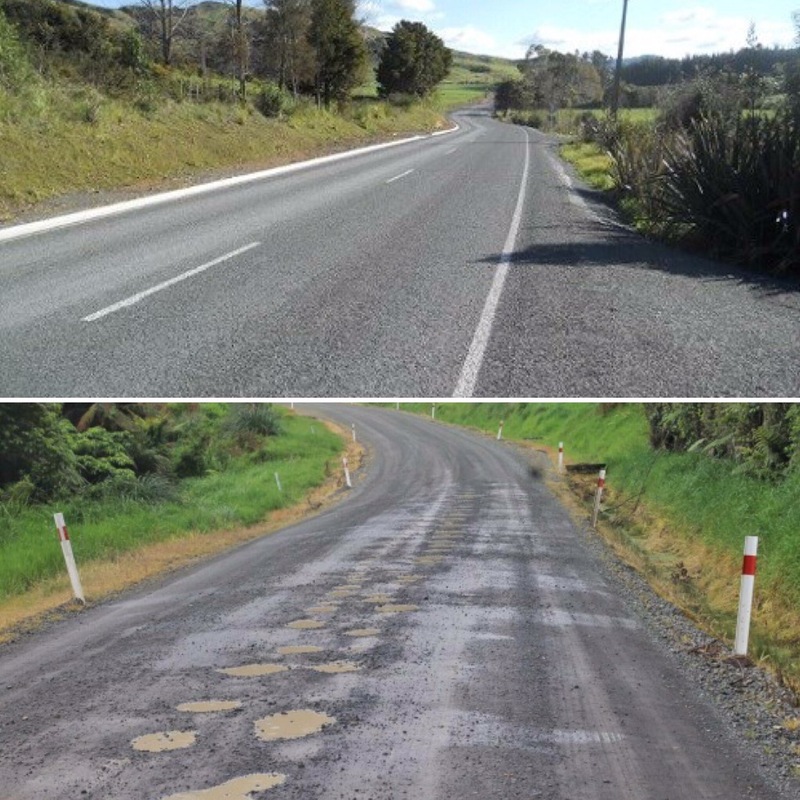 If you want to support speeding up road sealing please take a few minutes to complete an online feedback form, if we don’t get the support it won’t happen! You have until THIS THURSDAY to make a submission, so don’t delay! *Franklin had a targeted rate and now most of their roads are sealed, we need to do the same thing because doing nothing won’t see any significant progress. A local targeted rate would make a strong political argument for a funding top up from Auckland Transport. It won’t be a quick solution because of the scale of the problem but it would be better than hoping we will get funding every three years. ** The targeted rate would be used to provide part funding for three major initiatives across Rodney, Trains to Huapai, Park’n’Rides and Road Sealing. By putting in place a long term targeted rate we can share the cost burden across the limited rating base (22,000 properties in Rodney). You are currently paying a targeted transport rate for the City Rail Link that finishes in 2018, we would look to continue this over but just have the money spent in Rodney. If this initiative is supported we would come back to the public in 2018 will detailed proposals on what the money would be spent on, for how long and how much for further consultation. If this initiative isn’t supported we won’t take this further and these projects will have to wait for funding to become available and at this point that is five to ten years away. Originally posted by Phelan Pirrie on Facebook. Fencer needed to quote on urgent repair of existing fence / new fence of 100m+. Will pay cash. Have found a digger auger motor for a mini excavator lost on Ahuroa Rd on Saturday. Please contact Sean on 02102310920 to collect if yours. I know it’s a bit short notice but some of us at the fire station are going to be down at the station house to watch the rugby tonight , so if you want to come down and watch the test match with us you are most welcome. Bring cash and anything black………..ok , or red. From your friendly neighbourhood AB supporter . Ahuroa School is looking for a warm, kind, friendly teacher aide. The position is for 17.5 hours per week, working 5 days. Starting Term 3, 24 July, 2017.